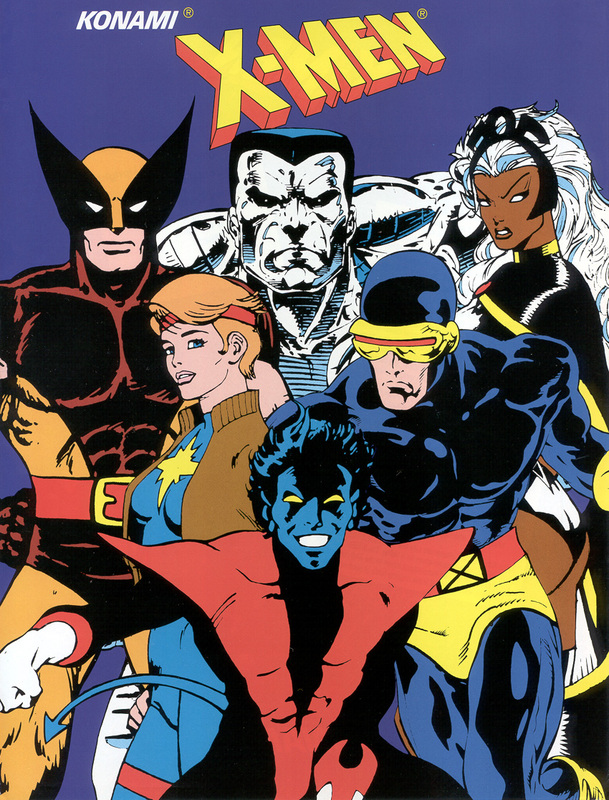 The game for this week is X-Men. 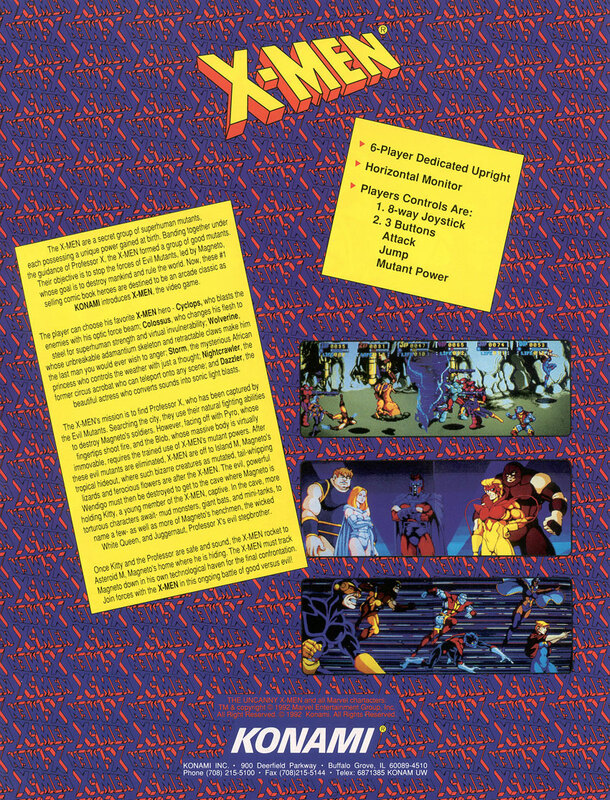 X-men is a 2.5D side scrolling beat'em up which was released in 1992 and brought to you by Konami. 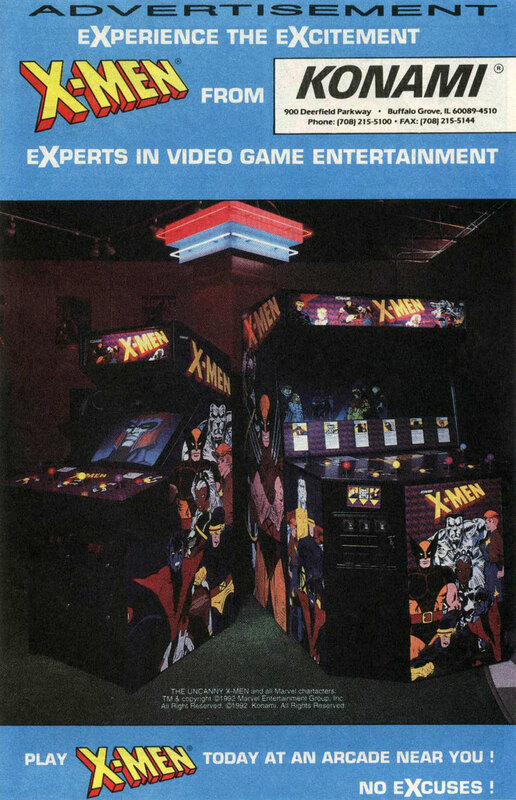 You play as one of six X-Men: Cyclops, Colossus, Wolverine, Storm, Nightcrawler or Dazzler. Professor X sends you out to stop Magneto and his Sentinels from destroying cities around the world. While you are fighting, Magneto kidnaps Professor X and Kitty Pryde changing your mission to a rescue. The game has eight stages for you to fight through. Along with Sentinels and other minions you will be battling super-villains such as, Pyro, Blob, Wendigo and more. Each character also has a unique mutant power which can be used to defeat nearby enemies. The mutant power is very effective by one hit kills of all minions and a knock back effect on bosses, but it costs you three health bars to perform. Once you drop to four health bars you can not use your mutant powers anymore, but after defeating bosses you obtain bonus mutant powers which can be stored for use when you are lower then four health bars.